Posh, simple but elegant. 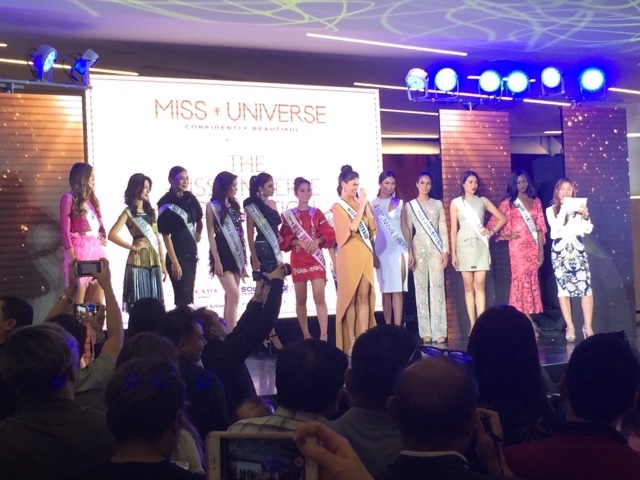 That's what I would describe the 65th Miss Universe Grand Kickoff Event held at the S Mason Mall at the MOA Complex in Pasay City. 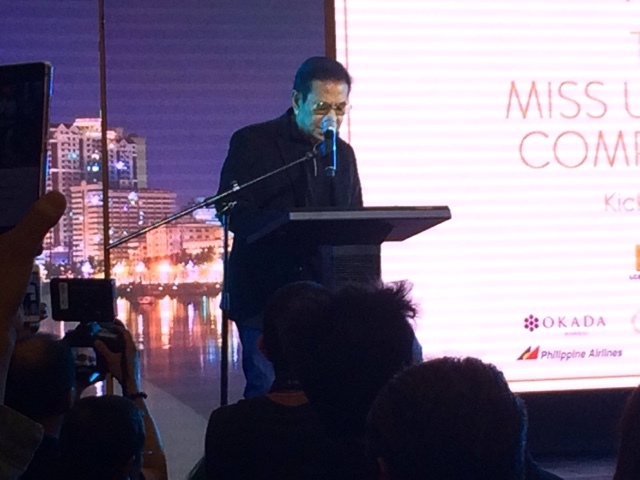 This event was hosted by the LCS Group (of Luis Chavit Singson) and Solar Entertainment Corporation (of Wilson Tieng) and featured 11 candidates who were flown in just to spend 5 days of fun in the Philippines and witness this event where Miss Universe Organization President Paula Mary Shugart will also start off festivities. As you know, the Philippines is known for fiestas and the longest Christmas celebration so these candidates will have a taste of that and MORE! 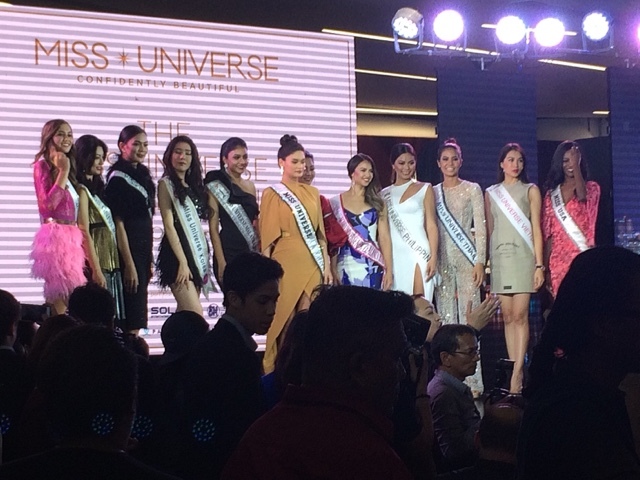 As of now we saw Miss USA Deshauna Barber, Miss China Li Zhenying, Miss Japan Sari Nakazawa, Miss Australia Caris Emily Tiivel, Miss New Zealand Tania Pauline Dawson (who I think is half Filipino), Miss Korea Jenny Kim, Miss Thailand Chalita Suansane, Miss Malaysia Kiran Jassal, Miss Vietnam Dang Thi Le Hang, Miss Indonesia Kezia Roslin Warouw and Miss Myanmar Htet Htet Htun. They will tour the Philippines with Maxine Medina and you'll see their adventures during the pageant soon. 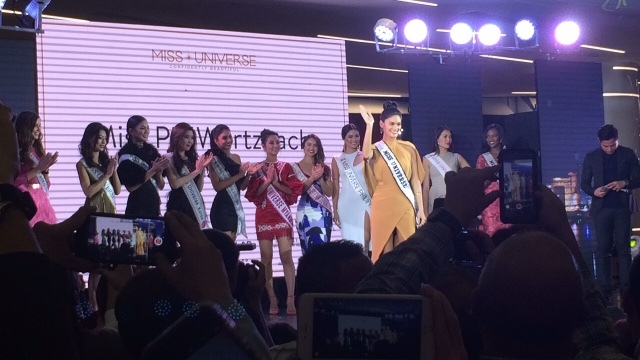 A ceremonial walk was also done by reigning Miss Universe Pia Alonzo Wurtzbach. Watch out for the actual pageant slated on January 30 8am Philippine Time. Again this is hosted by the LCS Group, Okada Manila, SM Lifestyle Entertainment, Philippine Airlines, Pay it Forward and the Department of Tourism. The ceremonies was hosted by former Miss Universe 3rd Runner Up Shamcey Supsup and good looking Kapuso Actor Benjamin Alves! So who's your pick?